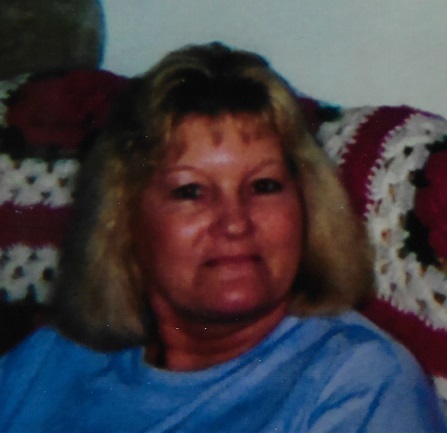 Rebecca Lynn "Becky" Parnell Johnson, 62, of St. Pauls died April 8, 2019 at Southeastern Hospice House in Lumberton. She was born in Robeson County December 16, 1956 to the late Murray Mack “Rusty” and Lucy Tew Parnell. She worked in banking. In addition to her parents she was preceded in death by her sister, Louise Parnell. She is survived by her husband Randy Johnson of the home; her son Garry Paul Johnson and wife Lyndia; daughter, Kimberly Marie Carroll and husband Anthony; sisters Glenda P. Fersak of Raeford, Barbara P. Ward and Carolyn Parnell of Parkton; and brother Murray Mack “Buzzy” Parnell of Georgia. She has four grandchildren and nieces and nephews and a host of family and friends. A visitation will be held Thursday April 11, 2019 from 6:00 to 8:00 pm at McNeill Mackie Funeral Home of St. Pauls with a funeral service scheduled for Friday April 12, 2019 at 11:00 am, also, at the funeral home. Burial will follow the service in Great Marsh Baptist Church Cemetery. Arrangements by McNeill Mackie Funeral Home of St. Pauls.